Israeli soldiers invaded, Wednesday, Halhoul town, north of the southern West Bank city of Hebron, and shot two Palestinians with live fire, including one who suffered life-threatening wounds, in addition to causing many to suffer the effects of teargas inhalation. 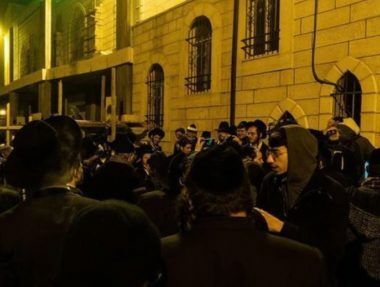 Media sources in Hebron said the soldiers were accompanying dozens of illegal colonialist settlers, who invaded Nabi Mousa historic Mosque. They added that many Palestinians protested the invasion, and hurled stones at the army jeeps, while the soldiers fired many rubber-coated steel bullets and gas bombs at them. One Palestinian sustained a serious injury, and many others suffered the severe effects of teargas inhalation.